Massage by definition in most states does allow massage therapists to do facials. So it turns out, most massage therapists can. But should they? So before you form an opinion, let’s explore the facts. stress and muscular tension. After such a specialized treatment, the face is relaxed, and fine lines appear diminished. The clients attain a deep level of relaxation. It produces a feeling of well-being. In turn, it results in the decrease of anxiety levels. Once a facial session is complete, the client leaves with a sense of calm, as well as feeling refreshed and clean. Of course, there are some limitations. However, words like hydrotherapy and applications begin to open the door for a facial. However, words like lubricants, scrubs, and chemicals open that door wider. I will elaborate further on how to do it and what you can and can not do. Clients are not the only ones who reap positive benefits from a facial massage. From a therapist’s point of view, they also gain many key advantages. Firstly, a facial massage routine is simple to perform and easy on the hands. Secondly, it is a useful marketing tool. Now it is possible to convert a one-hour massage to an 80 or 90-minute session. 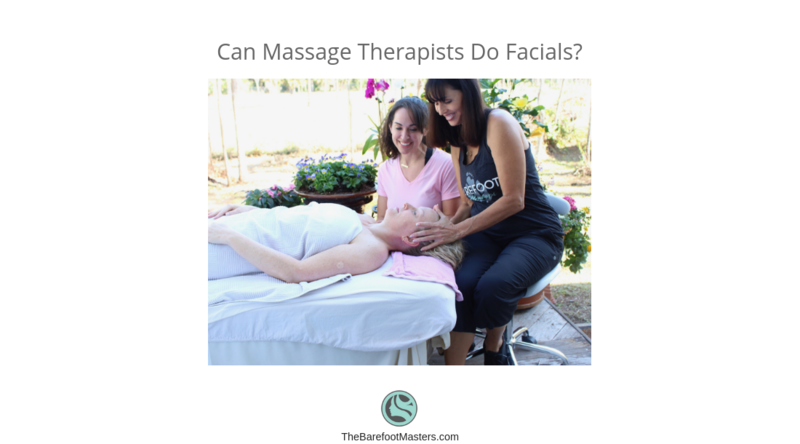 Thirdly, learning facial massage will enhance the repertoire of any massage therapist’s treatment menu. After becoming an esthetician, I discovered facials were much more comfortable on my hands and body. I enjoyed the respite. Training became centered on the products and the skin rather than massage technique. However, during facials, I found it difficult to sit and stare at the clock for 5 to 10 minutes after applying a product. To me, it seemed only natural to massage the client between these applications. Unfortunately, estheticians have limited massage training unless they go to a massage school. At an esthetics convention that I later attended, a massage therapist demonstrated a facial. The magical part was, not only the application of the product to the skin but the combination of a massage that addressed the muscles of the face. There it was right in front of me, the missing piece of the puzzle I had been searching. As I was so impressed, I wanted to give my clients that same kind of experience. Moreover, you don’t have to be an esthetician to perform such a great facial massage. Excited to offer something new to my massage and facial clients, I began adding a facial massage to each massage session. First, I would ask if they needed me to stay out of their hair and face. If the answer were yes, I’d explain what they will be missing. It was surprising how many of them changed their minds. How One Massage Therapist Developed a Course. The truth is, I love massage. However, after 20 years, my hands could no longer handle the rigors of deep tissue treatments. Ultimately, if I wanted a lasting career, it was imperative that I find other ways to apply my massage knowledge and techniques. Along came Barefoot Massage, and for me, it was just the beginning. Also, I added, other hand-saving modalities like Bamboo and Stone. Then, I thought to myself, why stop there? I would develop 123 Facial Massage, a much-welcomed addition. While in massage school, there was little concentration on facial massage. We soon came to realize that the school tiptoed around the subject of the face because it offered an esthetics program, deeming that section of the body “reserved” for estheticians. However, in esthetics, I was disappointed because the focus was primarily on the skin. Little emphasis was placed on the actual facial muscles or on massaging them. It was an unbalanced approach. In the Esthetics Program, we learned the muscles of the face, which I was familiar with from massage school. There were also several other interesting subjects like skin conditions, hydrotherapy, contraindications, waxing, and skin extractions. Massage therapists do not wax or do extractions as it, not in their scope of practice. Later, we all went to the esthetics convention to decide what product line we wanted to carry. If you’ve ever been to an esthetics convention, you’re well aware of how very many product lines exist. These same product companies give demonstrations on how to use their products. When you decide on a product line, you are to offer; the company gives training classes on their products. As a massage therapist, I was utterly flabbergasted. If, according to those companies, I still needed training, what was the point of all those months of esthetics school? Many massage therapists have told me that they do not massage the face. When asked why some said it was due to time limitations while others insisted it messed up their client’s hair and makeup. It’s true; there are occasional clients that request a therapist omit the face in a session. However, most clients understand how they will look after a massage treatment. If time is a worrisome factor, offering an add-on service would allow the therapist to concentrate on the area of the face. Additionally, these clients will know that they would be leaving your office with squeaky-clean skin. So How Do You Add Facial to a Massage? For massage clients, the session would begin face down on the massage table. Once the posterior side is complete, turn the client face up to continue with the anterior side of the body. After completing the arms, apply a gentle, slippery all-purpose cleanser to the face. The cleanser is used much like a massage lotion. After this step, a shorter version of the full facial massage routine would commence. The session ended by wiping off the cleanser with a steamy hot towel. For the Facial clients, ask the client if you need to stay out of their hair. If they say yes, apply a hair net, then explain that they will not receive a scalp massage. Omit the scalp massage and work their arms, neck, and face during the facial. As these clients are always face up, special techniques are used to get to those hard-to-reach areas like the back and shoulders. Clients love this new facial massage routine and were quick to inform me that they had never received a facial quite like it. They loved it so much they would book me for full massages with the facial add-on. The 123 Facial Massage set me apart from other therapists and was also an excellent marketing tool that improved my client’s health as well as increased my clientele. The great thing about Facial Massage is that therapists need not be an esthetician to add this treatment. Even though estheticians may use the facial massage techniques and products, they are required to have a massage license to apply the same protocol. At the time that I did my esthetics program, there were no continuing education classes available for massage therapists. The only courses available were facelift and tool application classes, but not one of them combined a massage and a facial. So, I decided that it was time to develop one. Not only would this facial massage treatment enhance the experience of the client, but it would also enlighten the massage therapist as well. That would depend on the facility. A steamer and a hot towel cabbie for warming the towels is convenient, but not necessary. For mobile house calls, you can heat towels in a microwave, then keep them warm in a 1.5-quart crock-pot that is light enough to carry. To use products or not? Yes, you can omit the products but most clients don’t like the messy residue left from massage oils and lotions. So use a hot towel to clean it off. We use Elixir of Life Organic Facial products. It’s mild and is good for all skin types. 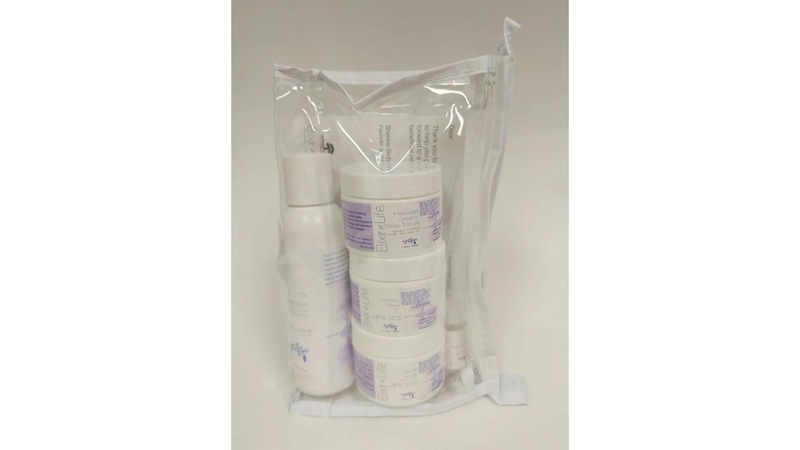 We also offer a 123 Facial mini starter kit with the same organic line. Michelle Mace CEO of The Barefoot Masters® is a developer of continuing education for massage therapists. She strives to improve their working conditions by offering courses that save their hands and body. Author of 9 different hand-saving techniques her goal is to develop more CE choices. Florida LMT license number #MA24345 and NCBTMB Provider # 403532.